"Horus Sehertawy", from the Temple of Montu at Tod. Mainstream Egyptology intprets the Sehertawy as, "Maker of peace in the two lands". 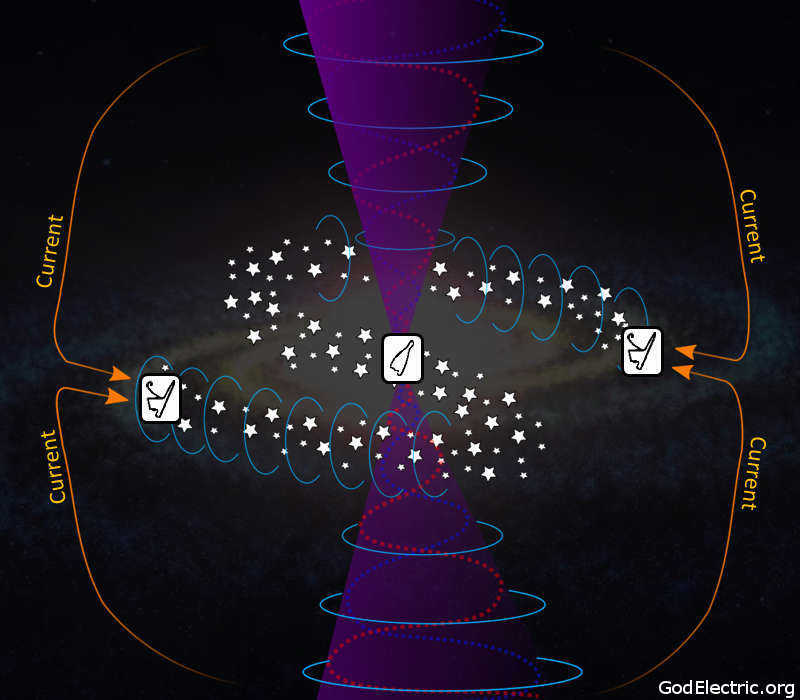 However using the GodElectric.org decipherment it reads, "Strong Electric Field of Galaxy supported by inward electrostatic projection between the many lands (celestial bodies in space)." Sehertawy is the inward electrostatic projection of electricity toward the core of the Galaxy. In an electric cosmos, charge flows inwardly along the spiral arms of the galaxy. In the center of the Galaxy Montu describes how strong electric field support Pulsars. Electric Galaxy - Galactic current circuit with the galaxy as a unipolar inductor.